If you are a tablet fan, you are gonna great crazy after you read the leaked specs of the upcoming Sony XPeria Z4 Tablet Ultra. Are you a tab fan? Or a guy, looking for a new tab? Wait a minute. We have some great news for you. This news is just like some sci-fi, or like those gadgets we used to watch in movies. A Chinese website has claimed to have leaked the specs of the Xperia Z4 Tablet Ultra, the upcoming tab from Sony. 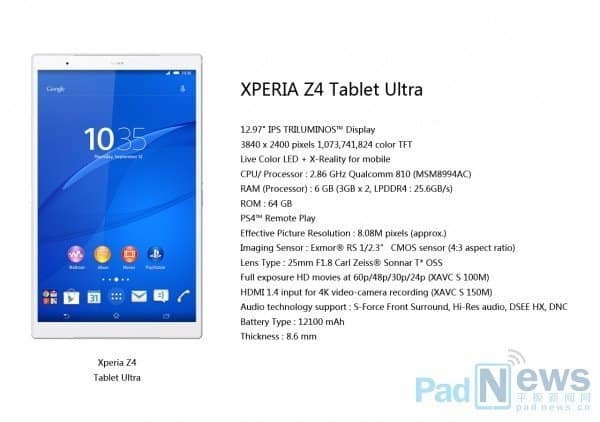 According to PadNews, the website which published the specs of the Xperia Z4 Tablet Ultra will have some mind blowing specs which seems to good to be fully true, but of course, that kind of specs is not impossible. The Z4 Tablet Ultra will have a 4K display, and will have 6GB RAM on-board, along with a massive battery capacity of 12000 mAh. 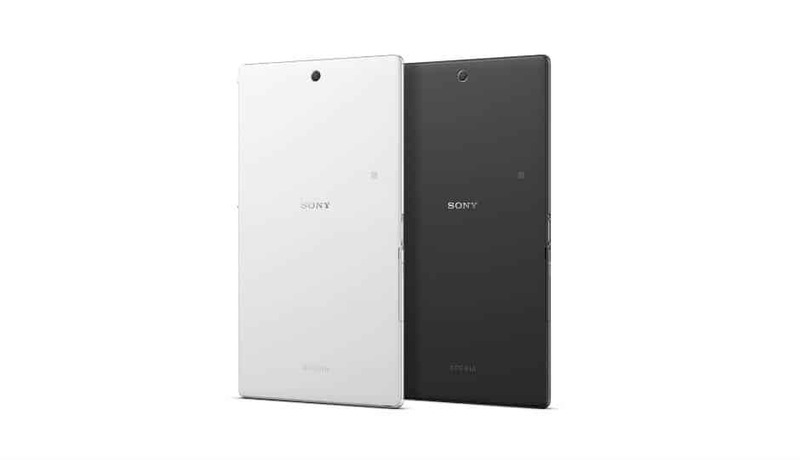 The Xperia Z4 Tablet Ultra will have a huge IPS screen sizing 12.97 inches having a resolution of 3840 × 2400 and will be powered by a Qualcomm Snapdragon 810 processor clocked at 2.9 GHz coupled with 6GB RAM and 64 GB ROM, camera will be enhanced with 8.08 million pixels The 1 / 2.3 inch Exmor RS sensor and it will be just 8.6 mm thick. These specs are the most powerful till date, if all of these are present on Sony Xperia Z4 Tablet Ultra, be sure to see it as the new tab market ruler of 2015. Previous articleHow PSY’s Gangnam Style made YouTube tweak their programming?